Fashion Revolution is a global campaign in more then 100 countries globally, asking the question #WhoMadeMyClothes? Starting in 2013 after the Rana Plaza collapse, it was more then overdue to start a conjunctive movement bringing all voices and initatives for a change in fashion together. Changing the horrible conditions many people in textile productions suffer from. Every 24. April we remeber Rana Plaza with the Fashion Revolution Day activating people to wear their clothes inside-out, asking their Label #Whomademyclothes and sharing it online. 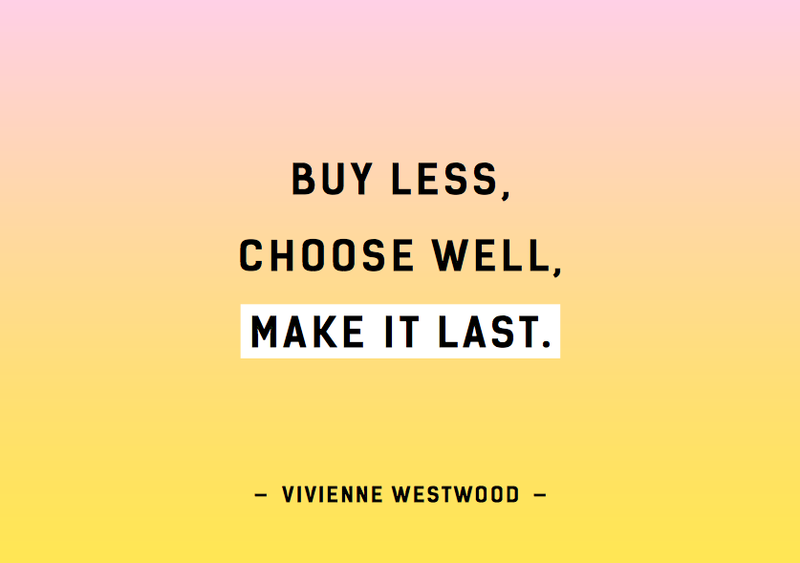 We collect and count Hashtags, connect questions #Whomademyclothes to the answers with #Imadeyourclothes. We work for more transperancy in fashion industries and to educate the consumer. Carry Sommers and Orsola de Castro are the two founders of the gobal Fashion Revolution movement. The Country Coordination for Germany is done by Ariane Pieper and me and power of people in the fff - future fashion forward e.V. I joined the German team of Fashion Revolution in 2014. A very informative interview about Fashion Revolution structures you find at Sustainable Fashion Matterz here. We started with around eight people. People, who already worked in the fashion industry, bringing their experience and voices together for one global Fashion Revolution. Today we are happy to grow with a lot of motivated people, from all sorts of fields, jobs, interests, directions all over Germany (and the world), who are willing to invest time and thoughts for a change in fashion. Fashion Revolution is nothing but a campaign, we all engage in with our free time, without any payment. Who we are you find at fashionrevolution.org or/and what else we do at future.fashion - the website of our German association behind Fashion Revolution. We founded fff in 2015 in order to run more projects next to the Fashion Revolution campaign and to handle donations. Our reason to establish the fff - future fashion forward e.V. was the money we won with the Spitzen Nadel Preis. Because of Max Gilgenmanns fantastic idea with the 2€ T-Shirt Automat. The video was produced in cooperation with BBDO, who are more than once a great help for the German FashionRevolution! Our job is to coordinate between events, actions and teams in Germany. Moreover we communicate with the U.K., who coordinate globally. From 2014-2018 I build up the German Social Media channels for Fashion Revolution Germany. The aim is to focus on German movements and textile business for Germans, next to the global approach, which is continously communicated over the global pages. Today, I am happy and proud to rely Social Media on a fantastic team run by Mariángeles Aguirre, Cherelle Abrams, Lisa Reannan, Hanna Sin Gebauer and Nathalie Börner in the leading roles. We see what we can support and what not (greenwashing is a big topic). 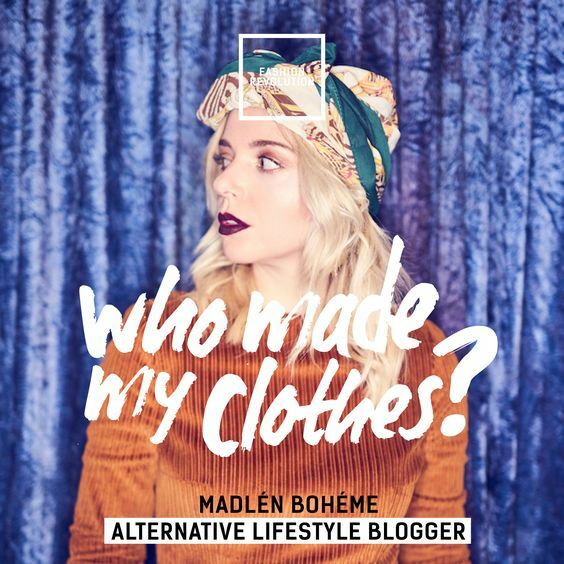 Moreover we always watch out for great content, that explains or relates to circumstances and the question #Whomademyclothes? At the global calendar you see best what is happening close to you, wherever you are from. We also set up a German calendar for you at the fff future fashion forward website. Our greatest applause is to still, seeing new participants using our Fahsion Revolution free download section, regardless if you are in contact with us or not. We messure impacts on Hashtags and online and offline media publications for each country. The impact we have as a joined movement we publish every year. This kind of Think-Tank and working together for a greater goal, is still the main aim of Fashion Revolution. We believe in sharing economies and learn from each others experiences, knowlegde and expertise - which means we see value of our network. In Berlin we, as Fashion Revolution Germany and the fff - future fashion forward e.V., represent that best at the Stich und Nadel Stammtisch, which is organised together with Sourcebook since 2015. Agora and the CRCLR are also greatly connected with fff and Fashion Revolution and bring wider ideas about circular economies and waste management. Since 2017 we start supporting more and more networks elsewhere. Especially in Hamburg, where fff e.V. and Fashion Revolution started a new collaboration with Greenpeace extending topics on consuming behaviour. With Berlin as a pionier city we worked on a new Greenpeace campaign called makesmthg and focus a wider audience - not only fashion people, nor only eviromental activists, but consumers. The result is a cooperation on the global level. Everyone, who likes to think sustainable, is asked by Fashion Revolution and Greenpeace "to make". Because what ever we do, all of us can make something. The first makesmthg Week 2017, was set up as consume-free maker-christmas-markets. Three topics were focused: Food, Plastic and Textiles. Within the last years we - as: all of us - organised several activities, educated, told, shared and created stories and showed alternatives to support a growing scene for "better Fashion" in Germany. 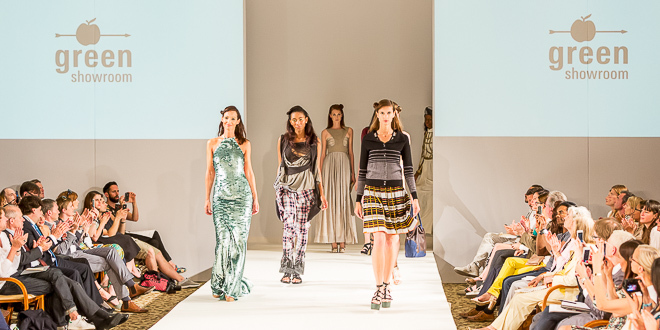 But Orsola de Castro aked specifically Carina Bischoff, Max Gilgenmann und Magdalena Schaffrin, who organise the Ethical Fashion Show in Berlin and the Green Show Room in Berlin to use their existing network to run Fashion Revolution for Germany. What else we do for Germany is listed at future.fashion. My favourite part is about education and knowledge, which means to give lectures around Fashion Revolution topics on universities and schools. I use my status as a student at Humboldt University connecting education and politics to the industry. Both sides claim the lack of communication and connection. And indeed you will find experts on fiber research at the Ethical Fashion Show in Berlin, while certain research fields, especially in the field of substituding chemicals in fashion, such as softener and dying. Global awareness is great! For Germany we try to work with role models and encourage diffrent networks by letting them tell what is their opinion about a Fashion Revolution. You will find all of them at our futurefashionforward Pinterest.